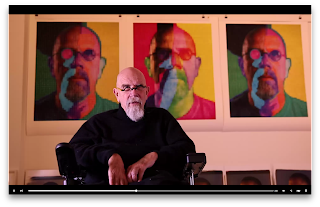 Chuck Close interviewed by Vanity Fair in his New York studio in early 2014; behind the artist are a suite of prints created at Magnolia Editions as maquettes from which Close is painting a new series of self-portraits. 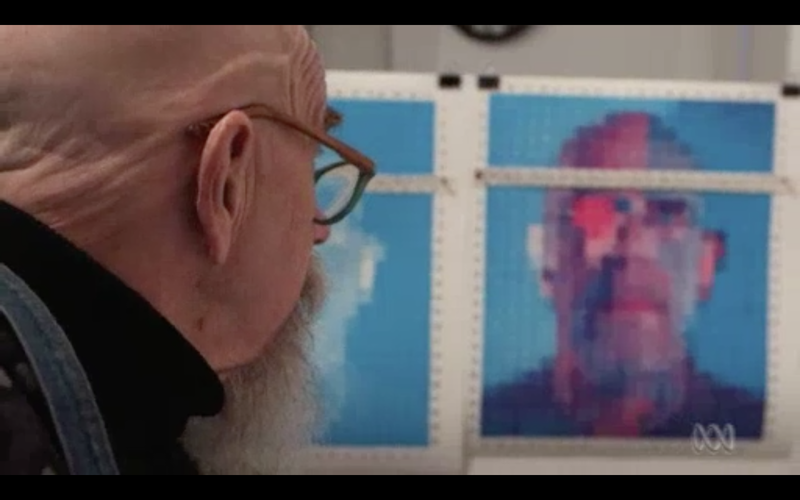 In Vanity Fair's "Up Close and Personal," we go behind the scenes of a Chuck Close portrait sitting. Says the magazine: "Guest artist Chuck Close brought 20 Hollywood luminaries into his studio for a photo shoot with unusual and strict rules. 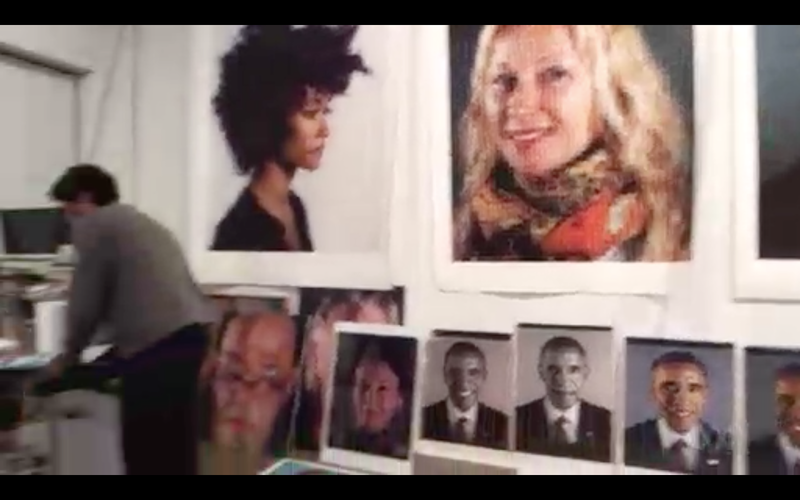 He talks to us about how he gets everyone comfortable, even without a hair and makeup team, on the other side of his lens." 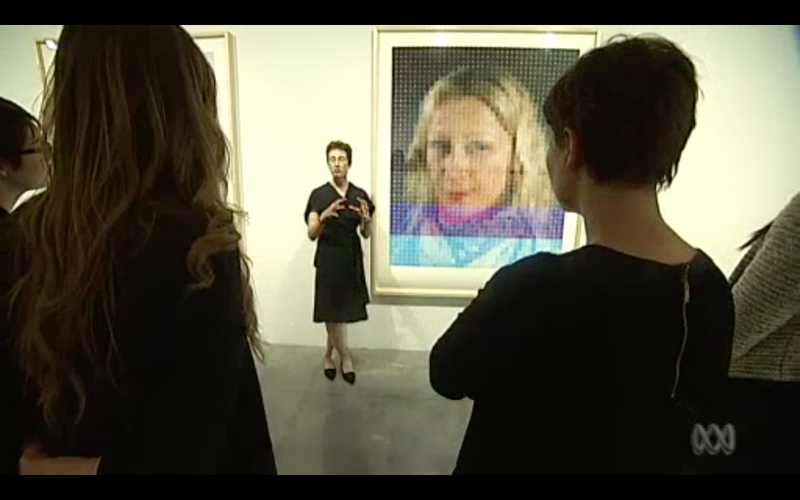 Keep an eye out for the appearance of three colorful self-portraits hung behind Close in one interview segment: they are 'proofs of concept,' maquettes based on Close's handmade collages and printed at large scale by Magnolia Editions as a reference for the artist to paint from. 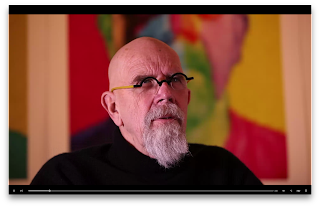 Chuck Close interviewed by Vanity Fair in his New York studio in early 2014. 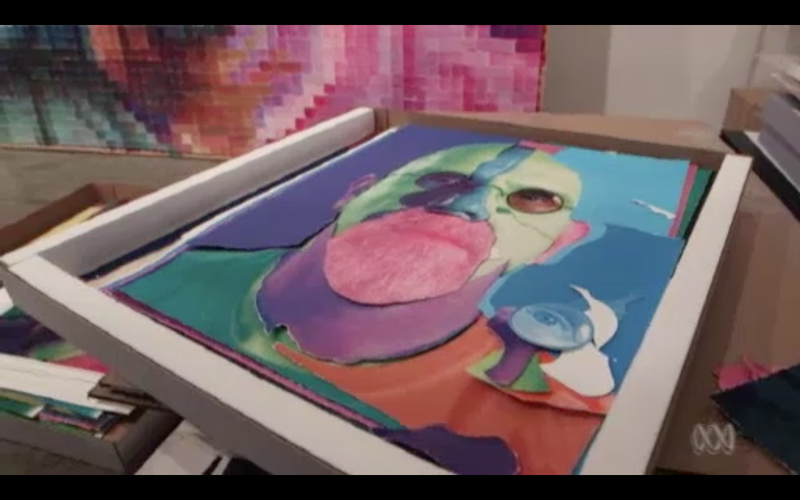 These prints may or may not ultimately result in a published edition -- but as it stands, they are a unique example of the cross-fertilization between printmaking and painting in Close's practice, and of Magnolia's continued dedication to providing artists with cutting-edge tools and techniques with which to realize their concepts. 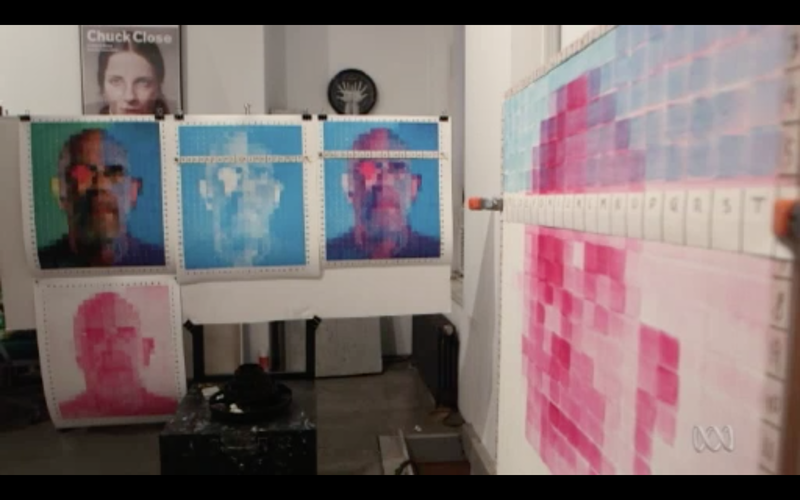 Chuck Close interviewed by Vanity Fair in his New York studio in early 2014 with a suite of prints created at Magnolia Editions as maquettes, which Close is using as reference materials for new paintings. 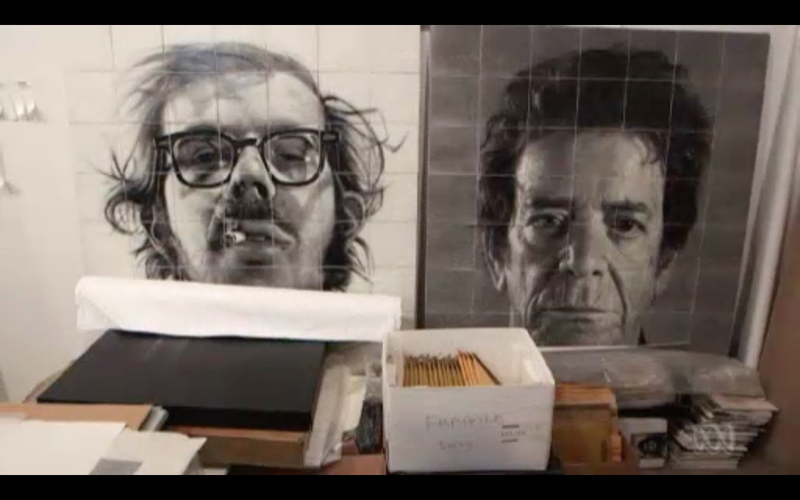 Once you check out the video, be sure to take a closer look at the editions pictured above on Magnolia Editions' website. 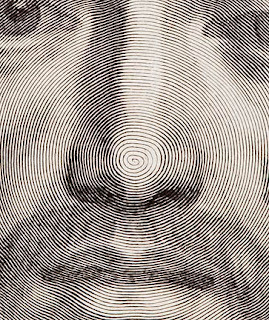 Magnolia Editions’ latest edition from Chuck Close is a tour de force of contemporary printmaking, but its origins lie in a masterpiece of engraving created almost three hundred years ago. 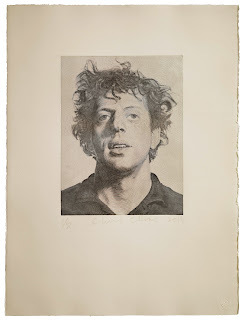 Phil (Spiral), a portrait of Close’s friend and longtime subject, the modern composer Philip Glass, was inspired by the 17th-century French painter and engraver Claude Mellan’s print The Sudarium or Veil of St Veronica, which owes its fame to Mellan’s remarkable use of a single line to engrave a realistic human face. 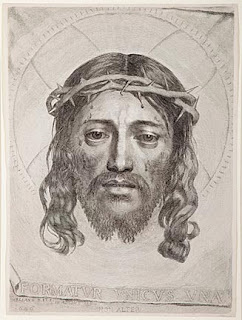 Claude Mellan - The Sudarium or The Veil of Veronica, 1649. Copper plate engraving. 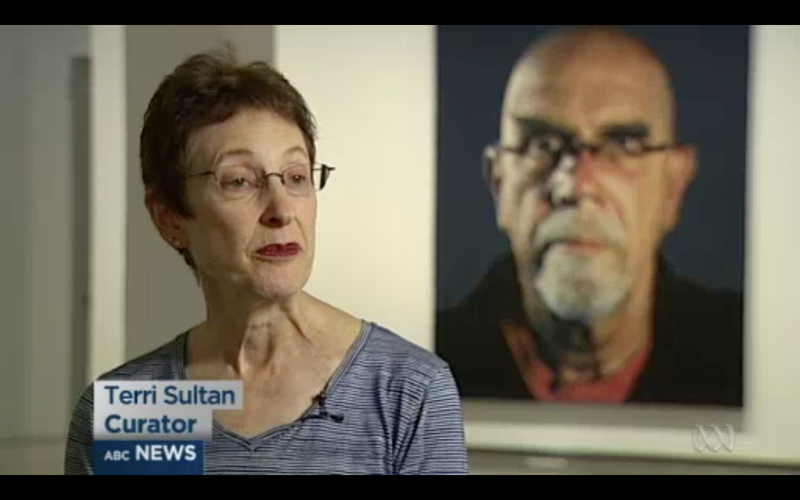 Photo by John R. Glembin. 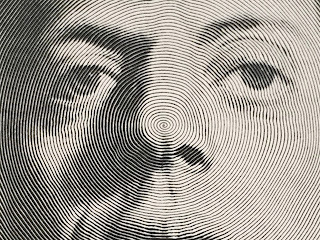 Detail of Mellan's Sudarium. 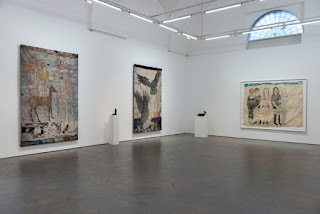 Photo by John R. Glembin. 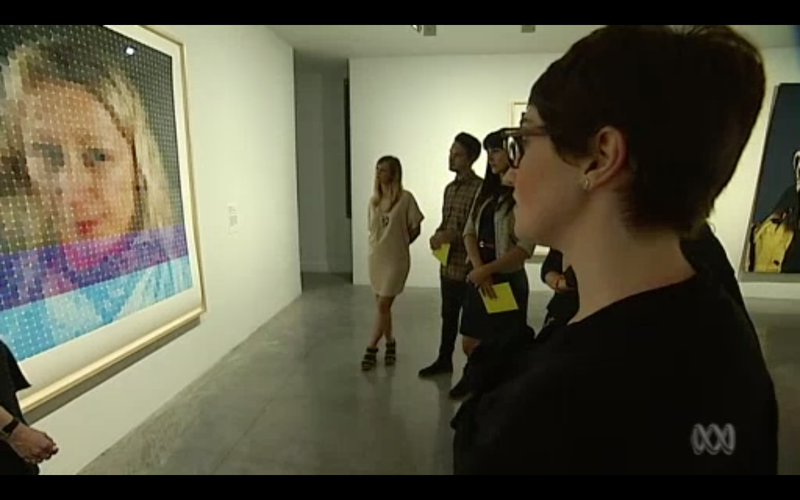 As an artist who has created groundbreaking etchings for more than thirty years, Chuck Close was naturally touched by the singular achievement of Mellan’s Sudarium, even acquiring his own copy of the famous print. 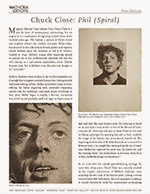 During a recent visit to Close’s New York studio, the artist proposed a challenge to Donald Farnsworth: could the contemporary printmaking wizardry of Magnolia Editions convincingly recreate the famed and reputedly “inimitable” technique of one of the great French engravers? 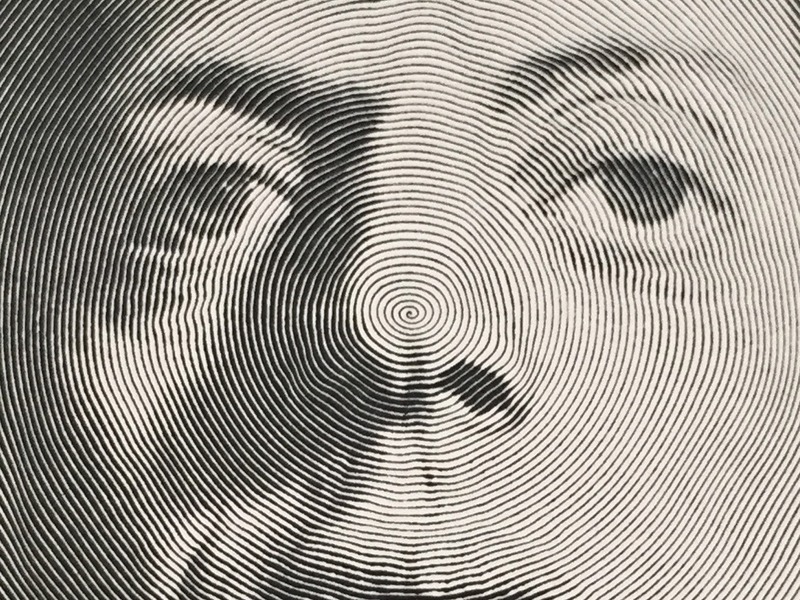 An early plate experiment for Phil (Spiral). Naturally, the route to a successful Phil (Spiral) etching was an indirect one, with many twists and turns: at first, Close and Farnsworth used a combination of digital engraving tools and algorithms to generate a series of largely unsatisfactory tests and to roughly identify areas of light and dark where the line would need to change shape. Ultimately, the single line making up the print had to be manipulated and adjusted entirely by hand over a period of several months. Nicholas Price pulls a proof of Phil (Spiral) on the etching press at Magnolia Editions. 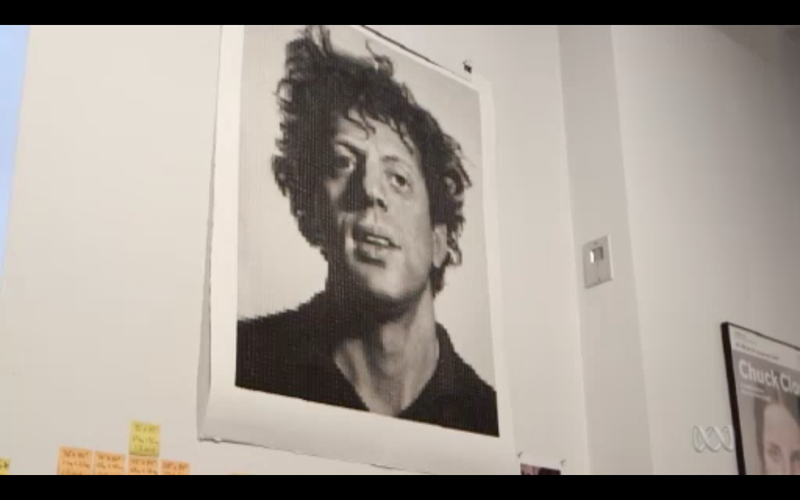 Printed at Magnolia Editions by master printer Nicholas Price in an edition of 50 and signed and numbered by the artist, Phil (Spiral) reflects an ongoing dialogue between printmaking’s past and future, into which Chuck Close and Magnolia Editions continue to introduce unexpected and exciting possibilities.